As we head into the autumn, many of us are starting to think about moving our garden furniture indoors, away from the harsh winter weather. But before you put your wooden sun beds away until the warm spring days next year, it’s worth taking the time to give them a spruce-up. It may seem a bit crazy to be making over your sun beds 6 months in advance, but autumn is actually the perfect time of year to carry out the tasks that you just won’t have time for, when the garden is demanding your attention as the weather begins to warm up again. After all, who wants be doing DIY when your neighbors are firing up the first BBQ of the year? Even if your sun beds have spent the majority of the summer inside, it’s still vital to give them a good clean before applying any kind of finish. 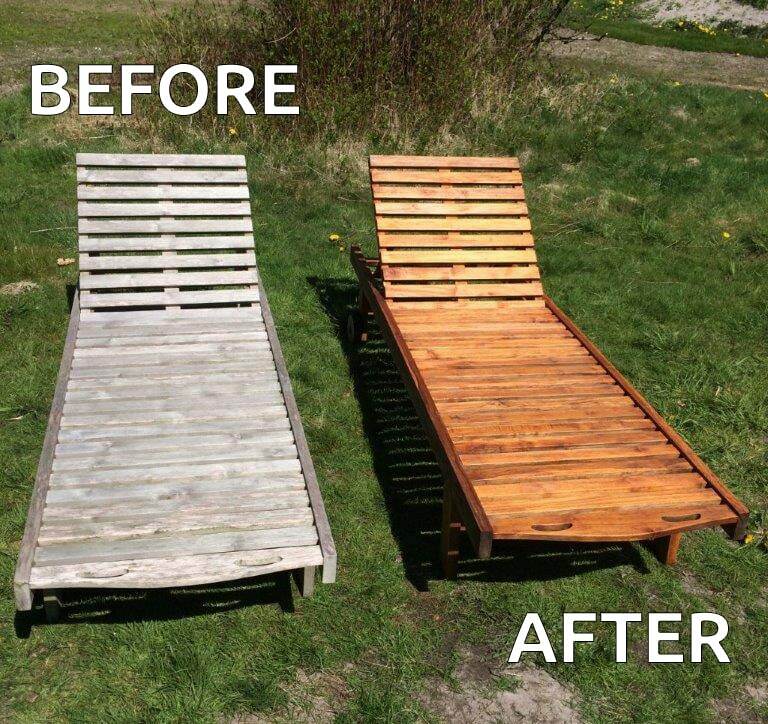 Net-Trol, our fast-acting and powerful wood cleaner, neutralizer and color restorer, will effortlessly remove any surface or ground-in dirt on your untreated sun beds, leaving the wood looking vibrant and bright. Designed to remove all traces of weathering that have been caused by UV rays, pollution and mildew, Net-Trol’s main purpose is to prepare your sun beds for their finish. One of the great things about Net-Trol is that it is non-aggressive, so it is harmless to your shrubs and plants, which we think is an essential element of any product that is going to be used in the garden. Plus, it’s biodegradable and doesn’t contain bleach or solvents. Even better, it works in as little as 15 minutes and using it should mean that you won’t need to undertake any time-consuming, backbreaking sanding. You can just sit back and relax while it works its magic. Before starting, you will need to wet your sun beds with fresh, clean water. Then, simply apply Net-Trol with a synthetic brush or roller and scrub your sun beds with a stiff synthetic brush. Leave it to work for 10-20 minutes. If you notice that the surface starts to dry, you’ll need to dampen it with a mist of water. If your sun beds were particularly dirty, you may need to repeat the procedure. You’ll now need to let your sun beds dry for at least 48 hours before applying any kind of finish. One of the great things about Net-Trol is that you can clean your tools with soap and water – no need for any white spirits! 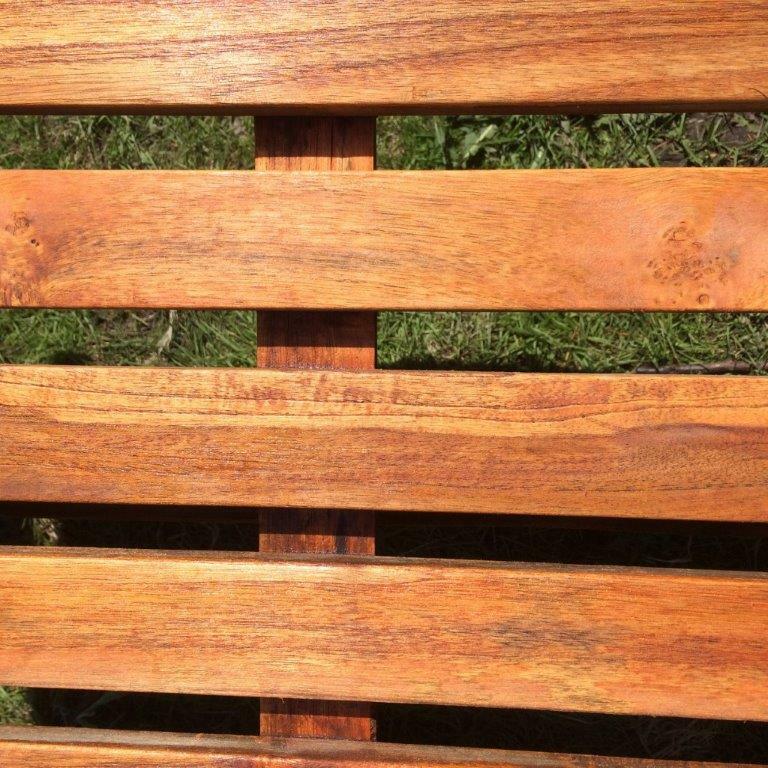 Textrol, our penetrating oil finish developed for weathered wood, is available in 4 different colors, so you can give your sun beds a finish to suit your garden. This product has been developed so that it penetrates and protects wood from within, so it won’t form a film that could crack, peel or flake. Additionally, Textrol has in-built UV protection and will also protect your sun beds from moisture damage. 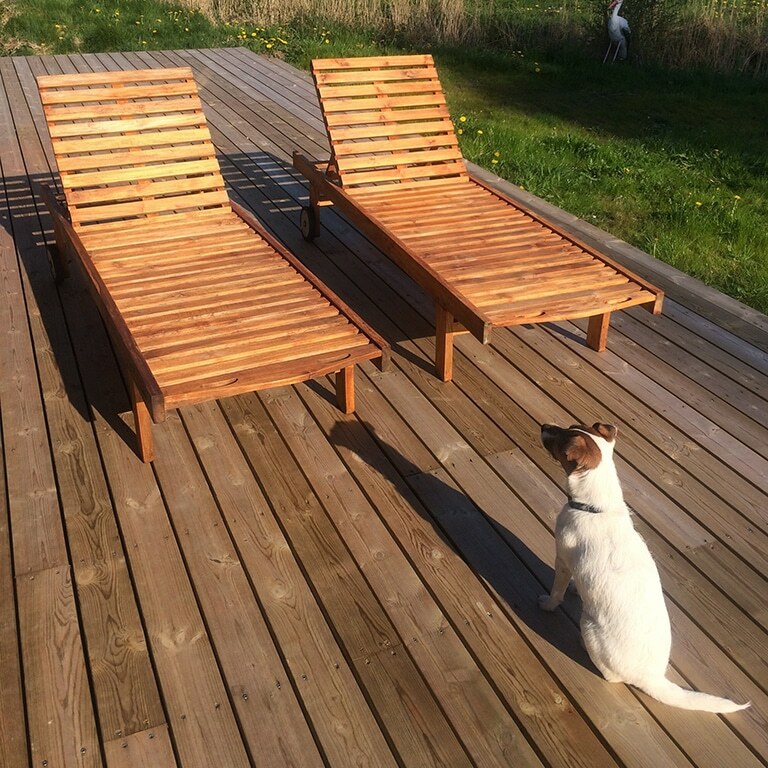 As well as keeping your wooden sun beds safe from the weather, Textrol will also enhance the natural beauty of the wood. One of Textrol’s main selling points is that it can be applied ‘wet-on-wet’, so you won’t have to wait for coats to dry during application. The maintenance is also extremely easy, with local touch-ups and no backbreaking sanding necessary. When you first apply Textrol to your sun beds, it will give them a rich, matte color. This should gradually lighten over time to give you your finished look. Apply your first coat of Textrol then leave it for 15-30 minutes, to allow time for it to penetrate into the wood. Then, apply another coat of Textrol and leave it for another 15-30 minutes. You should repeat this process until the wood of your sun beds will not accept anymore oil. Then, wipe off any excess oil that hasn’t penetrated into the wood. This is important to ensure that you avoid shiny spots. It’s vital that you don’t allow Textrol to become touch dry between coats. Can I follow the same process if my sun beds are treated? If your sun beds have been treated in the past, you will need to use Aquanett or Prepdeck before applying Net-Trol, in order to remove any previously applied treatments. Aquanett is our solvent-free wood oil remover, which will help to prepare your sun beds for their new coating. You’ll be glad to hear that Aquanett is suitable for environmentally sensitive areas, as it has a gel-like consistency which means that it won’t run everywhere. After using Aquanett as per its instructions, it’s important to treat your sun beds with Net-Trol while they are still wet, in order to neutralize the surface. If your sun beds have been painted, you should use our high grade stripper Prepdeck, to prepare your sun beds for their makeover. Again, after applying and removing Prepdeck as per its instructions, you should immediately treat your sun beds with Net-Trol, while they are still wet, in order to neutralize the surface. Got any questions about how to use any of the products we’ve mentioned in this guide? Get in touch to speak to a member of our team. Once you’ve completed your project, why not send us in your before and after photos to help inspire others?